We have years of experience tutoring students of all ages. We can assist students in any classes they require assistance with. Our qualified tutors can assist with a variety of subjects in the BC curriculum. Our STEM classes prepare students for technology-oriented careers. We offer a unique tutoring environment where students are able to learn, grow, and thrive with the support of excellent tutors. 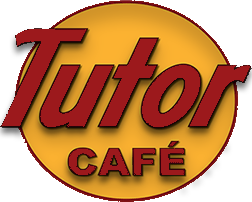 Located in central Abbotsford, we provide several tutorial options. There are 3 large rooms designated to different instructional needs. Students will have access to all rooms as they complete their assignments. In one hour, a student can visit a math tutor and an English tutor. With over 20 years of teaching experience, we believe our environment to be enjoyable, effective and extremely positive. In a small group setting, we cater to the individual needs of each student. There will be 2 to 4 children in a group. Private instruction and flexible hours of instruction are also available. We also work with special needs students (up to University level). We also offer limited programming, web development and robotics lessons for Gr. 3 and up. Our IT specialists have over 20 years of professional programming experience, including tutoring and teaching University students (up to 4th year). We assist with elementary and middle-school science, as well as high school Biology, Physics, Chemistry, and Earth Science. We can tutor any level of math ranging from Kindergarten to Pre-Calculus 12. Our tutors assist students with English in Grades 1 through 12, including reading, writing, grammar, and comprehension. Our French specialists can help students enrolled in middle or high school French. We offer STEM courses to give students a head-start for their post-secondary education. Students will learn Java fundamentals, including creating classes and methods. Advanced topics include: file input/output and serialization. Recommended for Grades 10 to 12. Students will learn how to create simple and dynamic websites using HTML5 and CSS3. Recommended for Grades 8 to 12. Students will create basic 2D and 3D games using the Unity game engine. Topics include: UI design, navigation and animation. Recommended for Grades 10 to 12. Students will learn PHP fundamentals to create dynamic database-driven websites. Students will also learn about PHP classes and methods. Recommended for Grades 11 to 12. Students will assemble their own robot and learn basic programming skills. Varying levels of difficulty are available. Recommended for Grades 5 to 10. Avi is the best Computer Tutor He helped me get a A- in COMP 125, A- in COMP 150 and B+ in CIS 145 at UFV and also has great prices. Limited seats available.Reserve a spot TODAY! © 2018 Tutor Cafe. All rights reserved. Hosted by Design2Web.